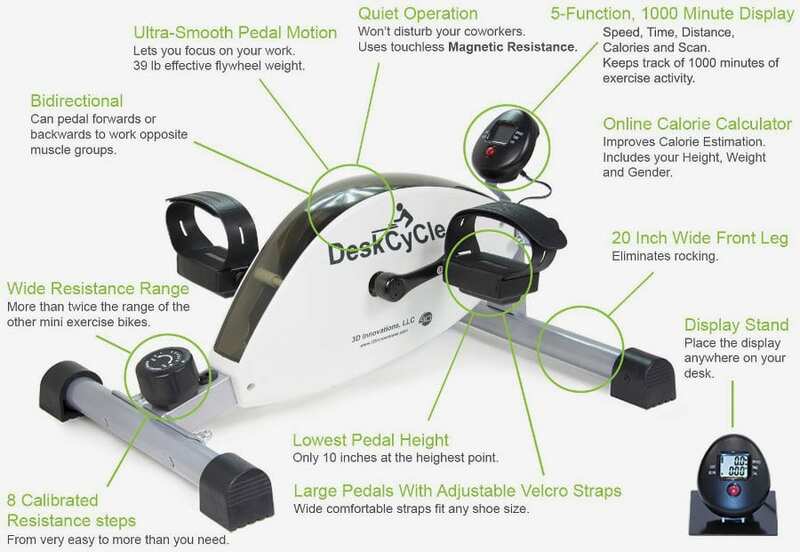 In an effort to help adults live a healthier and more productive lifestyle, even while at work, companies are developing products that allow individuals to exercise while working, and one such product is the DeskCycle Under Desk Exercise Bike and Pedal Exerciser. 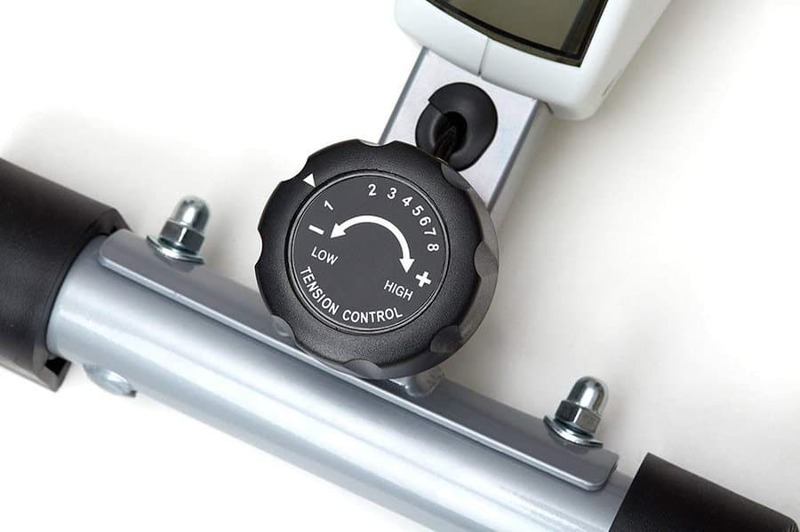 This product allows the user to silently pedal their way to better health while also allowing them to get work done and maximize what can be accomplished in the limited amount of time they have in a day. According to the Centers for Disease Control and Prevention, it is important for adults to perform a regular physical activity in order to achieve optimum health. Adults should set a goal of 30 minutes of moderate exercise per day in order to control weight, lower risk of cardiovascular disease, lower risk of type 2 diabetes, strengthen bones and muscles, and improve mental health. While 30 minutes a day does not seem like a lot that perspective changes when you realize that adults spend on average of 8-13 hours a day sitting and an average of 8 hours sleeping it only leaves between 3-8 hours to complete all other activities which does not leave much time for any activity let alone exercising. Many adults are finding themselves figuring out how to complete more than one activity at a time in order to optimize what can be accomplished in the limited amount of time they have and this applies to their exercise routines as well. With its low pedal height, the DeskCycle can easily fit underneath desks that are AS LOW AS 27 inches. In fact, if you get the Desk Cycle 2 which is only a fraction more expensive, it has an adjustable leg that allows you to set the whole cycle an inch lower to give you even more leg room. Individuals who are using the DeskCycle at work can set the resistance between levels 1-3 to keep in the low cardio zone allowing them to increase their energy levels and increase the amount of oxygen that reaches their brain without distracting them from completing their work. 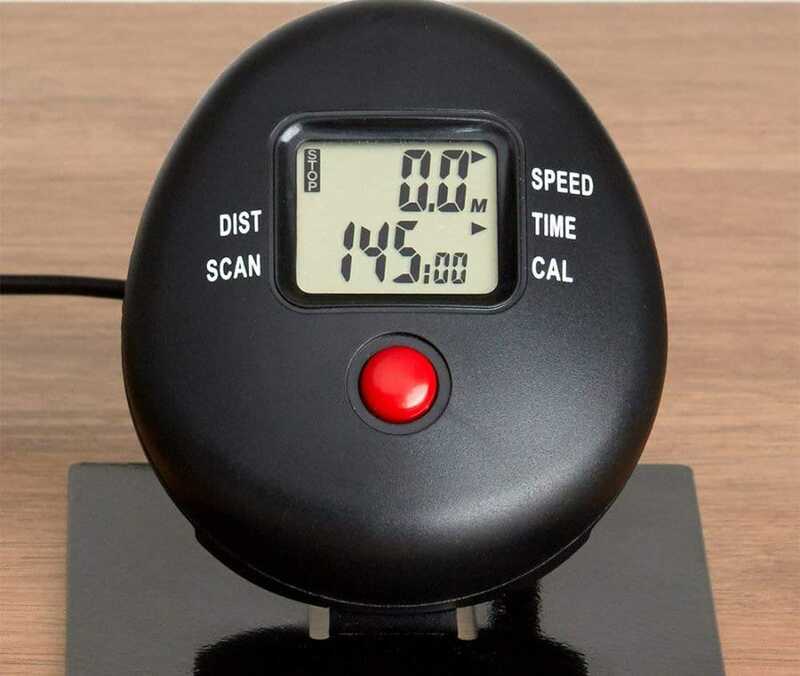 The convenient display stand allows the user to keep track of speed, distance, time, and calories from the comfort of their desk instead of having to look down at the device. The DeskCycle is quiet and while being utilized on the lower settings does not distract or interrupt the individual using the device from their work, it actually helps to increase concentration and productivity. Given this is a product that you’ll use in the office, it helps that you wont be distracting yourself or the rest of your colleagues! One of the things I really like about the machine is the external console which allows you to track speed, time, and calories. Although not the most complicated or complex dial, it is separated from the unit and attached by a wire. Just place it on your desk while you work and you’ll be able to keep an eye on how much exercise you’re doing. 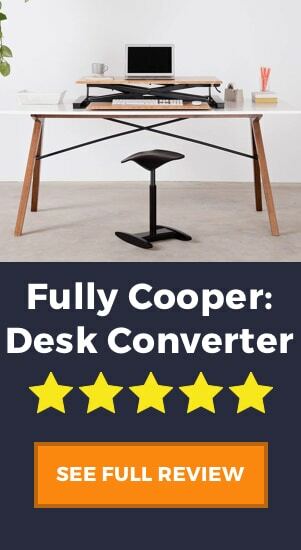 As we mentioned before, the DeskCycle is very low to the ground unlike many other products. You can use this on low tables as short as 27 inches and there will be room to move your legs. 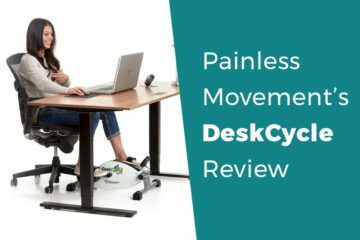 Not only are there 8 resistance levels allowing you to get a good workout regardless of your fitness level, but the DeskCycle 2 gives you extra adjustability. I really recommend spending the extra $10 to get the ability to add or remove an inch to the unit height. The DeskCycle can be easily placed on a desk or table and utilized as a handcycle allowing an individual to exercise their upper body. This may not be the best while you’re trying to work, but if you have some spare time and want a good arm workout, I recommend giving this a try. At only 23 pounds the DeskCycle is a very light piece of cardio equipment. Compared to other office exercise equipment, such as a treadmill desk, this one you can take anywhere with you. No more excuses for not getting in your daily 30 minutes of cardio! One common complaint concerning the DeskCycle is that the display will reset to 0 once the user has reached 1000 calories. Obviously, this isn’t the biggest concern, but if you are interested in keeping a tight hold on calories burned, you’ll have to find another way. There are many options to track calories, such as fitness watches, apps, or even just using online calculators to make rough approximations. 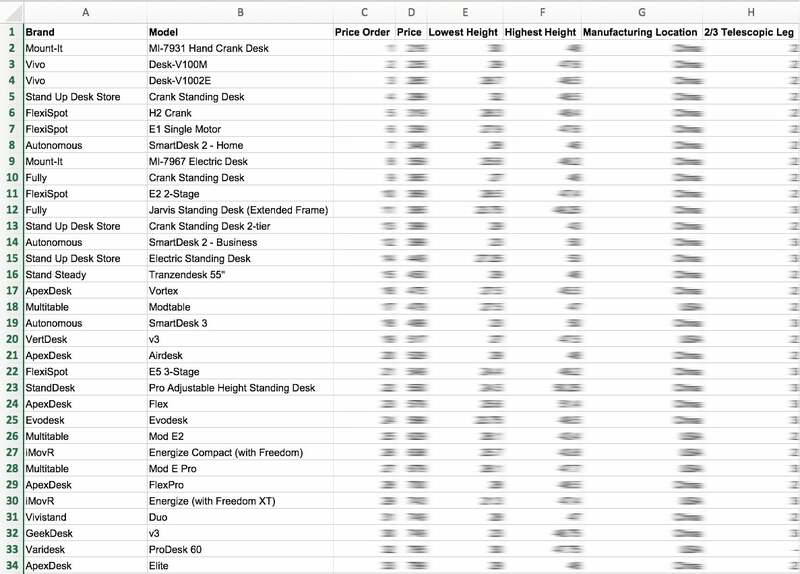 This isn’t necessarily a complaint of this particular product, rather of under desk cycles in general. For taller people, it might be worth having a look at an adjustable height desk that allows you to sit in the correct posture, and fit under desk exercise equipment beneath your desk, without having to worry about your knees. 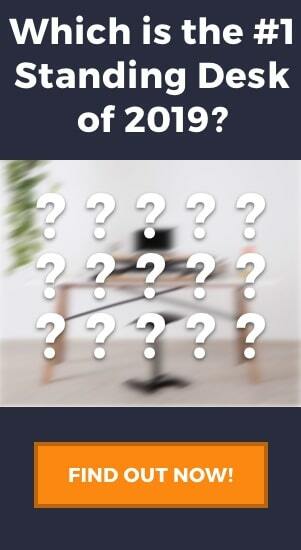 Unfortunately, the DeskCycle may move while you use it. If you have a carpet or rug beneath your desk, then the DeskCycle may struggle to grip the floor well and slide forward as you pedal. I’d recommend finding something to place behind or under the unit which can help lock it in place. One thing that people find hard to get used to is the pedaling angle. Everyone knows how to ride a bike, and usually, you sit directly above the pedals. When you move to an under-desk exercise peddler, you’ll notice then you’ll be pedaling forward which may not feel so natural. Weight Loss: While there are several factors like age, height, resistance setting etc., that account for how many calories an individual can burn using the DeskCycle, on average adults can burn approximately 260 calories in 30 minutes. As we know burning calories leads to weight loss so by utilizing a DeskCycle at work can help an individual lose weight. Increased Productivity: Employees who’ve used a DeskCycle while working reported having better concentration and called in sick less than co-workers who did not cycle allowing those who cycled to have increased productivity. Improved Mood: Engaging in exercise regularly will not only help with an individual’s physical health it will also improve their overall mental health as well. Regular exercise helps to reduce anxiety and depression, increase energy, improve sleep, and improved cognitive ability which all help to improve an individual’s mood. An individual’s age and exercise level doesn’t matter, regular exercise will help. 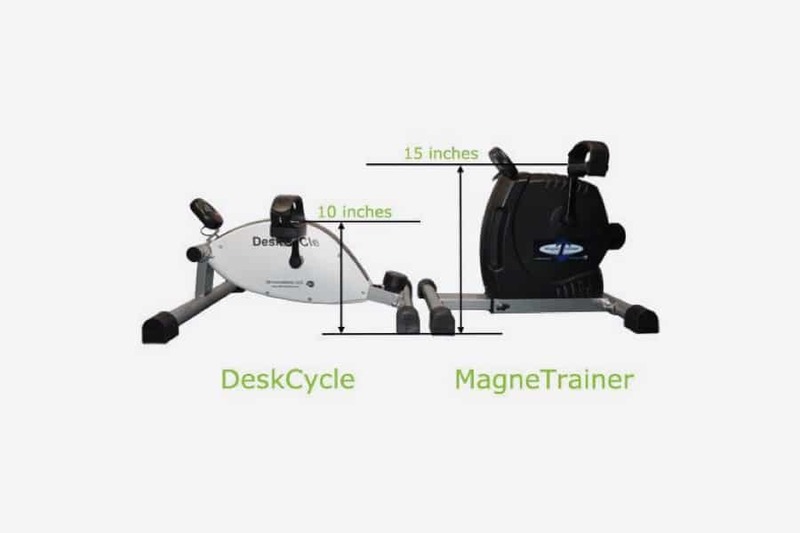 The DeskCycle Under Desk Exercise and Pedal Exerciser is an excellent way to incorporate exercise into your day without compromising work time. The DeskCycle is compact and lightweight making it portable and giving the user the option to bring the device with them on business trips or take it home to use while doing other activities. With individuals spending increasingly more time sitting at desks doctors are recommending that they find ways to exercise while sitting at a desk. The DeskCycle is the perfect way to add exercise to your daily work routine while still having the ability to be productive at work. While it costs around $150 you can’t really put a price on your health so the benefits of the device outweigh the price you pay for it. With the DeskCycle, individuals can easily fit the minimum 30 minutes of exercise each day that is required for optimum health in their busy work schedules.